Well, not too early, just a day. It was a combination Labor Day and birthday barbecue. A birthday for a sister-in-law and a niece. I fired up my Napoleon Smoker, a gift from the Mysterious Chinese Woman and her family, but I suspect a gift with an ulterior motive. My old smoker just wasn't big enough to smoke everything they wanted to eat. They are a voracious bunch. I did a couple of racks of spareribs, a boneless leg of lamb, a duck, and a chicken. The boneless leg of lamb I just used a liberal amount of Trader Joe's South African Smoke Seasoning Blend. I use this stuff a lot. Lot's of flavor but not too much heat. I also sprinkled on a fair amount of Kosher salt. I brined both the duck and the chicken. The duck I brined in apple juice, Kosher salt, and garlic. The Chicken I brined in orange juice, Kosher salt, and honey ginger tea. 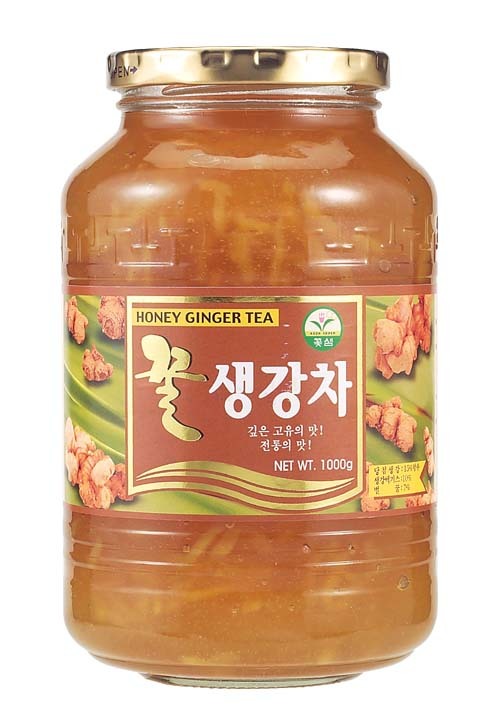 The honey ginger tea is thick with shredded ginger and is meant to be added to hot water to make, well, honey ginger tea. But it also works well in this brine. I brine them overnight and then before I put the chicken and the duck on the grill I slather them with more of the stuff as a glaze. I make my own barbecue rub and have a variety of recipes but most are a variation on a theme. I removed the membrane from the spare ribs and rubbed them down the day before and and then let them sit in the fridge overnight. Took them out early enough to come to room temperature (well, close) and then put in the smoker. I was pleased with the way that everything came out and, considering the gusto with which everything was consumed I think everyone was pleased. It makes me happy to smoke for an appreciative family. And the mother-in-law contributed with dishes of her own, lobster, shrimp, noodles, vegetables, soup, so we had plenty to eat and a great day. Oh, and a delicious salad from a sister-in-law and a couple of ice-cream cakes. Champagne and raspberry wine as well. A great feast.